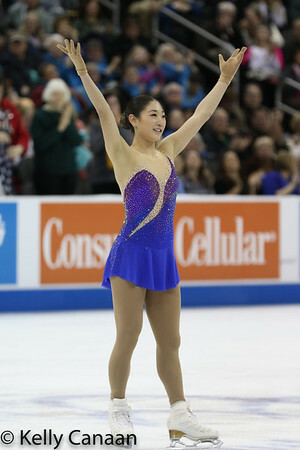 Karen Chen poses mid-program during her free skate in Kansas CIty. She won gold. Ashley Wagner does a Biellmann spin during her short program in Kansas City. Ashley Wagner performs during her free skate at the 2017 US Figure Skating Championships, where she finished second. 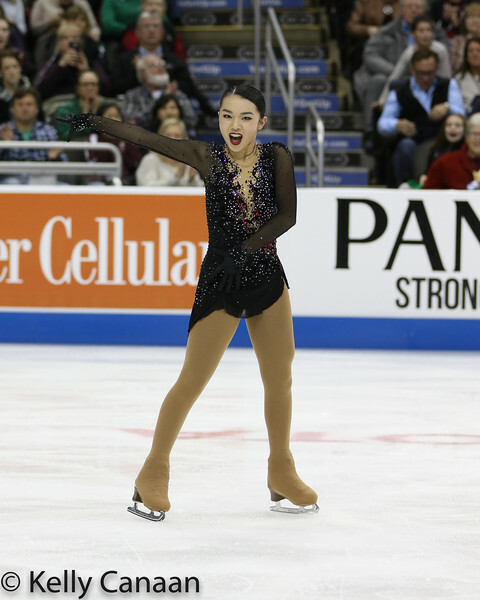 Karen Chen shows off her exquisite spiral in the short program in Kansas City. 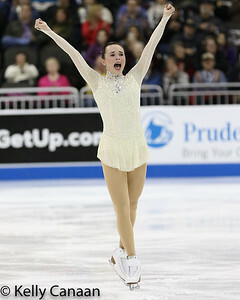 She placed first in both the short program and free skate to win gold. 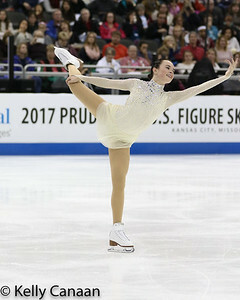 Karen Chen shows off her signature spiral in her free skate at the 2017 US Figure Skating Championships. She won the gold medal. Ashley Wagner eyes the judges during her short program at the 2017 US Figure Skating Championships. She won silver. Silver medalist Ashley Wagner performs her free skate in Kansas City. Mariah Bell glided her way to the bronze medal at the 2017 US National Championships. 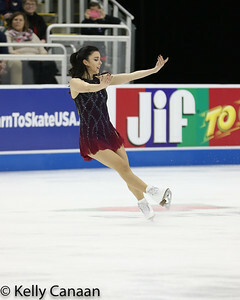 Karen Chen does a Biellmann spin in her free skate in Kansas City, where she won gold. Ashley Wagner begins her free skate in Kansas City. Silver medalist Ashley Wagner skates during her free skate in Kansas City. 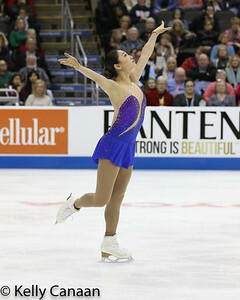 Karen Chen performs her free skate in Kansas CIty. 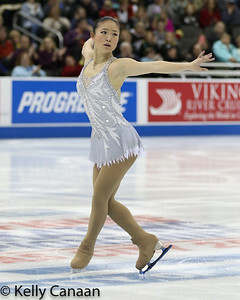 Karen Chen finishes her free skate with a flourish at the 2017 US Figure Skating Championships. She won gold. Ashley Wagner performs her free skate in Kansas City. Mirai Nagasu looks upward and onward during her short program in Kansas City. Gracie Gold reacts after her short program in Kansas City. 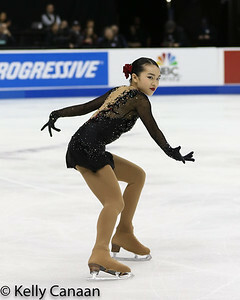 Karen Chen skates during her free skate in Kansas City. Ashley Wagner prepares to begin her short program in Kansas City. She went on to win silver. Ashley Wagner dazzles during her free skate in Kansas City. She won silver. Mirai Nagasu performs a spin during her free skate in Kansas City. 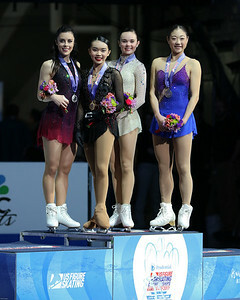 Caroline Zhang threw down an awfully determined and well-done free skate in Kansas City to finish fifth. The best split-jump I got in Kansas City. :-) Thanks, Caroline! Gracie Gold warms up for her free skate in Kansas City.